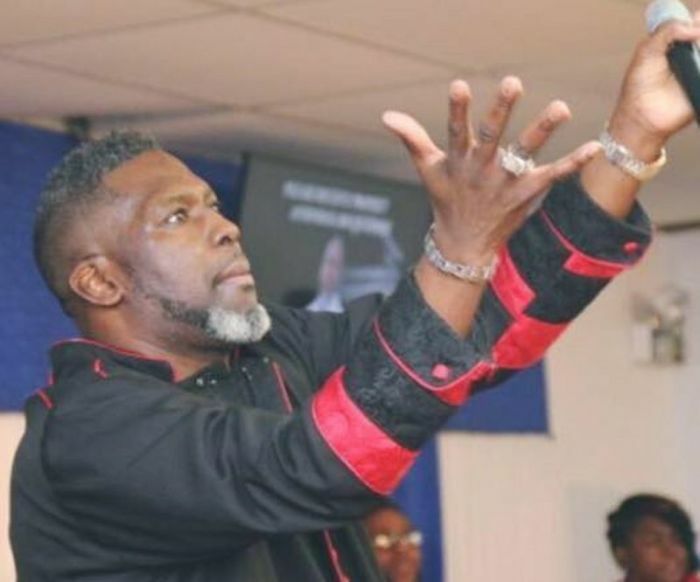 Pastor Antonio Rocquemore of Power House International Ministries in Chicago, Illinois, is coming under fire from advocates of the LGBTQ community for publicly rebuking a male member who came to his church dressed as a woman Sunday night. In response, Rocquemore said the male member had been repeatedly warned that he would not be allowed to dress like a female during worship service. A clip of Rocquemore's open rebuke of the church member, who was not identified in the video, was first highlighted by Christian James Lhuillier, who insisted that the member should not have been rebuked. "Some of y'all are going to have to excuse my language but I am tired of this sh*t. In a place that is supposed to be a place of change, a place of deliverance, whatever you want to call it why would you destroy someone in front of a room full of people?" Lhuillier asked. "This is the kind of bullsh*t that causes people to go home and commit suicide. Sh*t like this is the reason that the church has no power in 2018 because they are so worried about the wrong things. I know drag queens and transsexuals that can pray you out of sickness faster and some of these preachers that collect your love offerings every Sunday," he continued. "I would have turned that church clean out do you hear me!!!!!!!!! It's time for us to stand up for what we believe and stand in our truth and walk away from these ministries that bash who we are. Too many illegitimate relationships have been created trying to conform to a mold you were never meant to fit. I have a great deal of respect for the house of God. But I wish upon wishes upon wishes that had been me. The city of Chicago would never forget my name!" Lhuillier ended. The clip has since been viewed more than 100,000 times. In the complete recording of the service on the church's Facebook page, Rocquemore's public rebuke of the member begins after about 25 minutes of spirited praise and worship. He also prefaced the rebuke with comments about biblical standards of holiness. "The presence of the Lord is here ... if you stop believing, standing for something, you will fall for anything. And God can't move the way he wants to because of the standard. He set a standard. Stand by him, even if it costs you friends because you'll always be approved by heaven. I'm at a point in my life where I'd rather heaven be pleased with me than people speak to me. Speaking to me don't bother or stop where I'm going," he said. He then warns his members to guard their minds before calling out the young man dressed like a women to step out into the aisle of the church. "Can you leave my church and go put on man clothes?" he asked firmly. "And don't come here like that no more," he continued as someone can be heard in the video declaring "thank you Jesus!" "I hold a standard in here. Whatever you do on the outside is your business, but I will not let drag queens come in here. And if you're gonna come in here you're gonna come in here dressed like a man .... If you're a man, dress like a man. If you're a woman, dress like a woman. I'm not going to allow it. My salvation is more important and God is holding me accountable," he added. "... you will not be wearing weaves and heels and fooling people up in here." In a follow-up response to those criticizing his rebuke of the young man, Rocquemore explained that the young man has been a member of his church for several months and had expressed a desire to reflect manhood as expressed in the Bible. As a part of his agreement in joining the church, Rocquemore said, the young man said he would abide by the rules of the church. He said that the church had also been working privately with him and warned him several times about dressing appropriately for church. "He was not put out the church because he was gay. First of all I don't bash nothing. I don't separate sin. Sin is sin. There is no need to bash one or the other if you're preaching the word," Rocquemore said. "... When you join my church, all the rules and regulations is told to you then. If you ever slip up [on the rules] we would still take you privately and go over them again. This particular situation, this young man was told several times in private. I went to him personally myself," the pastor said. Rocquemore said he warned him about the church rules and told him he couldn't "dress like a female" in church. He verbally agreed to follow the church's rules but he still continued dressing like a woman. On Sunday night, when he challenged the pastor publicly during the worship service, Rocquemore said he was forced to rebuke him publicly. "He challenged me publicly and I challenged him back publicly. I asked the young man to leave. There was no security taking him out ... sir can you please change clothes," he said.